Hi all - my relationship with iTunes is something I've always struggled with, today is no exception, please help. Currently there is some music on my iPhone X. It's been there for probably a year so I don't remember what I did in iTunes to get it there, I want to change it now but I'm struggling to make it happen. I've also changed computers which might factor into this. The first screenshot shows music on my iPhone. I can play these albums fine. 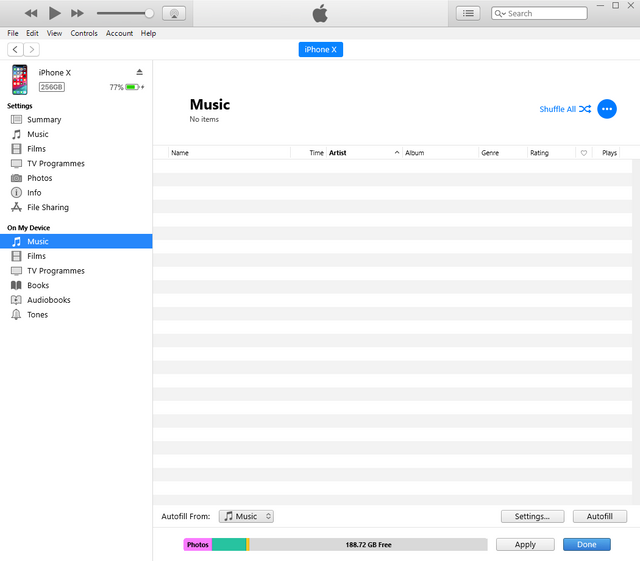 The second screenshot shows iTunes but it appears to be blank. As I know you can manually delete songs from Iphone, as I have 6s. And by sychronization when you dont have songs it should delete them off the iphone also, but you have to check not to delete your images/videos and etc. Question Games getting terrible fps and im not sure why (read below).